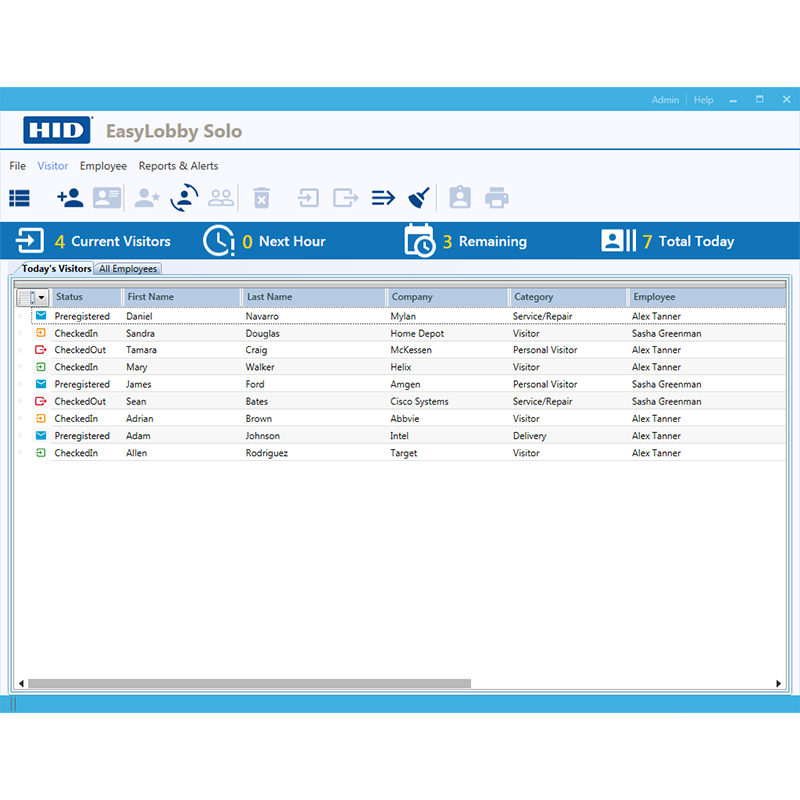 EasyLobby Solo is a streamlined version of HID Global’s successful EasyLobby Secure Visitor Management (SVM) software, and is designed to smooth the transition for small and large organizations moving from a traditional guest book to an automated, digital visitor management solution. In addition to facilitating a more professional image, organizations are able to increase security for visitors and employees by better managing who is entering and leaving the premises. 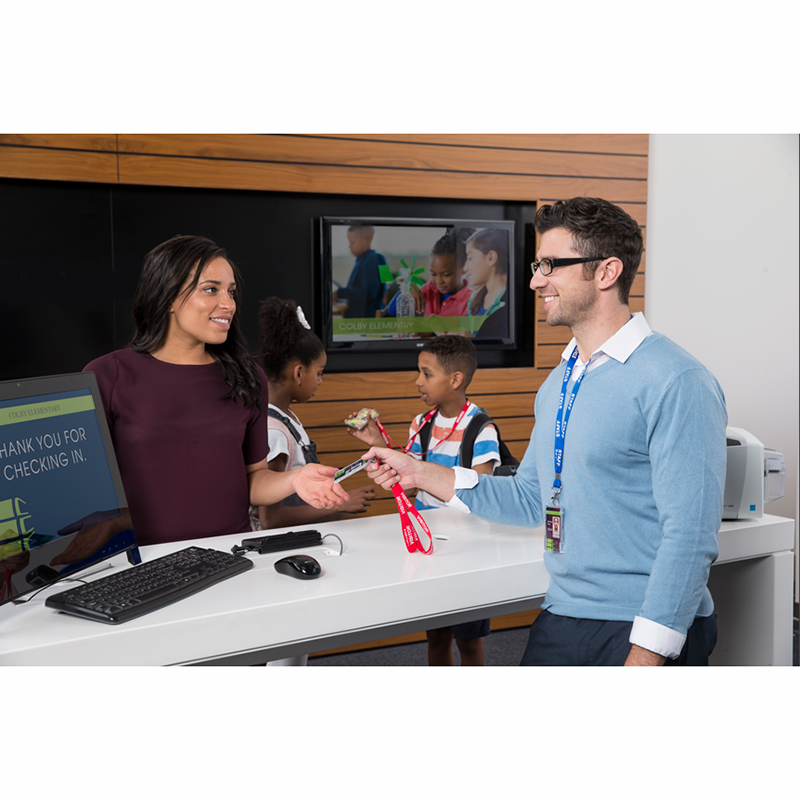 EasyLobby Solo provides easy registration and check-in along with visitor activity reports that are simple to generate, to satisfy compliance/audit requirements. More Professional – Provide visitors a positive brand impression with streamlined visitor scheduling and a quick check-in process that provides professional badges. 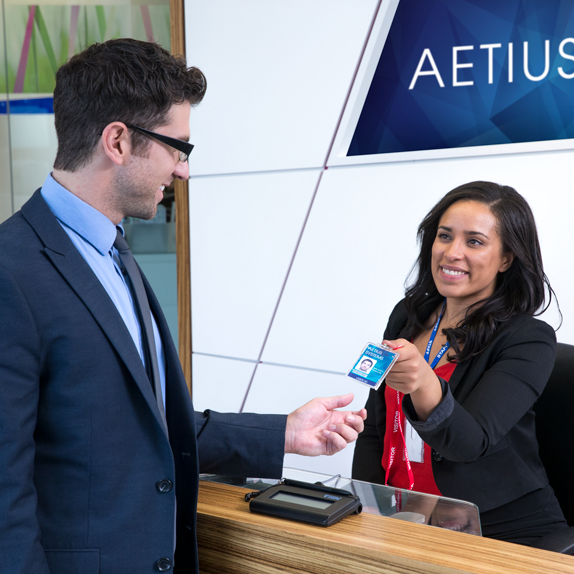 More Streamlined – Allows for basic pre-registration, use of ID scanners for smooth visitor check-in, professional badge issuance, and efficient reporting. 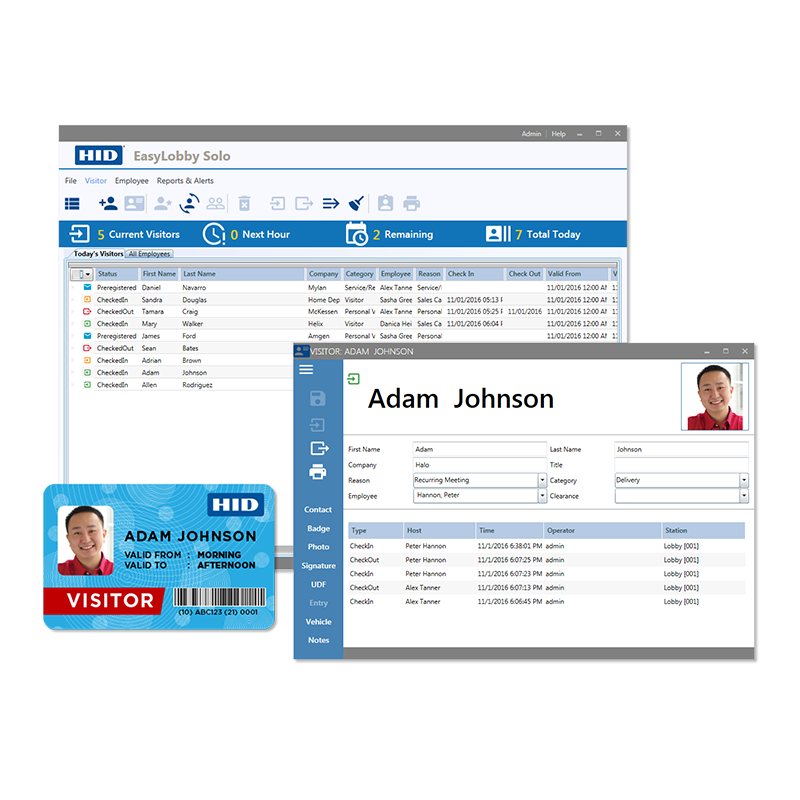 More Secure – Unlike traditional guest books which store visitor information in plain sight, visitor information is securely stored within the EasyLobby Solo application and can be emailed to first-responders in emergency situations. Where applicable, internal watch lists can be used to stop unwanted visitors at the door keeping employees and other visitors more safe and secure.